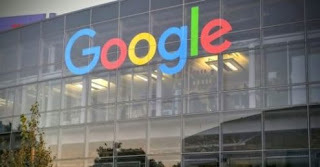 Google has paid a fine of 500,000 rubles (7,616 dollars) for failing to remove search links to banned information, Russia’s telecommunications watchdog Roskomnadzor said on Friday. The watchdog said Apple Rus had sent it a notification that the company had started processing personal data of Russian citizens in Russia as required by law. In December, Roskomnadzor initiated administrative cases against U.S. companies Twitter and Facebook for non-compliance with the Russian law.